Halo is getting a big-scale TV adaptation, and we’re getting information on it in bits and pieces. At a panel today, 343 Industries executive producer Kiki Wolfkill says that you shouldn’t necessarily expect the series to slavishly follow established canon – the show will respect what’s come before, but will make alterations to suit the needs of television. Ethnicity in particular has been a flashpoint for gaming adaptations in the past, as an early casting call for Ciri in The Witcher Netflix series specifically asked for non-white actors. The role ended up with Freya Allen and controversy was averted, but not before a whole lot of hand wringing about how important ethnicity is in the Witcher world. We should hear more about the Halo show’s cast soon, if it’s still on schedule to enter production this year. Of course, most fans are really looking for the Halo Infinite release date at this point. 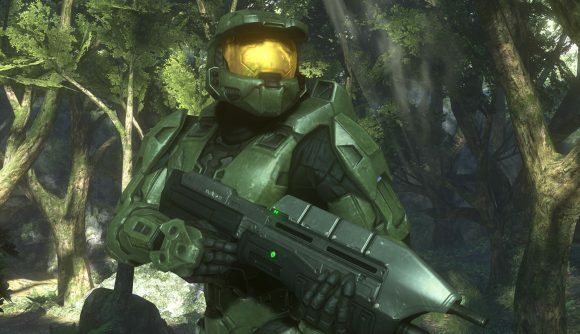 Master Chief’s latest story is likely to still be quite a ways out, but we’re likely to hear much more about the new game within a couple of months at E3.